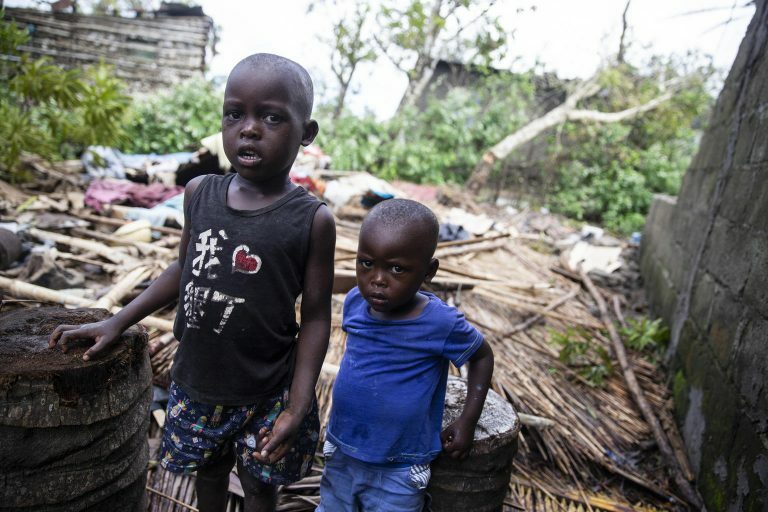 900,000 children have been affected by Cyclone Idai, which has caused severe flooding in Malawi, Mozambique and Zimbabwe. Aid workers are now reaching isolated areas and fear the number of displaced or injured people will rise. In times of crisis or humanitarian disaster, it’s children who always suffer the most. Cyclon Idai has destroyed much of South Eastern Africa’s housing and infrastructure leaving families without access to clean water, food or medical care. Widespread flooding poses a danger to children, while the stagnant water increases the risk of waterborne diseases like cholera or malaria. 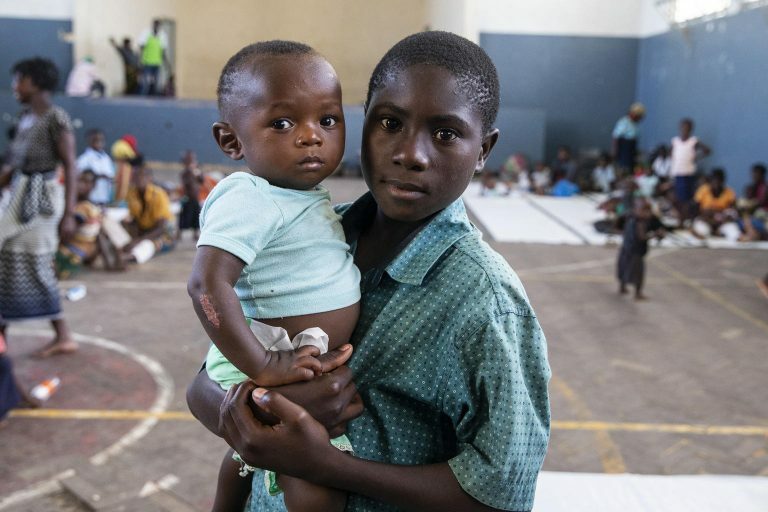 To learn more about how Cyclone Idai has changed the lives of children and their families, please read the stories below. 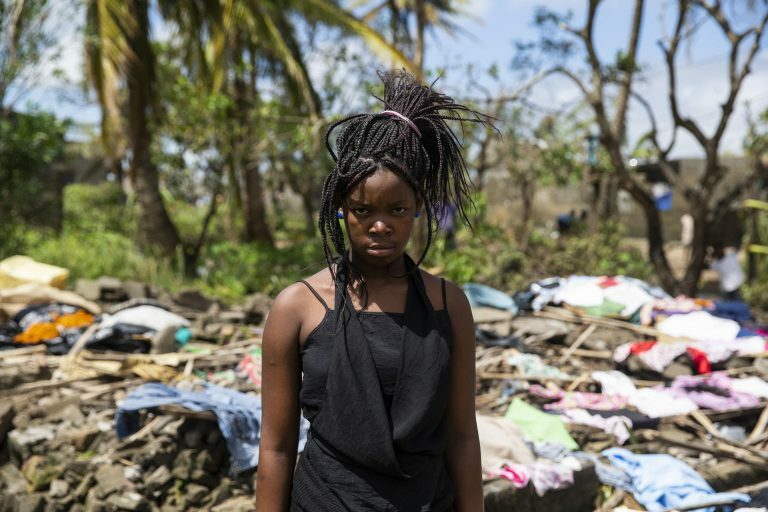 Cecilia Antonia Santana stands in front of the rubble that once use to be the house she lived in, in Beira, Mozambique. After the hurricane destroyed her house she went to live with her neighbours whose home was still standing after the cyclone. Manuel Jose Matapa and his brother Fransisco Jose Matapa (above) stand next to the rubble that used to be their house in Beira. Homeless and without shelter, the brothers are now living on the street with thousands of other children. Many children like Cecilia, Manuel and Fransico have lost everything and are dependent on humanitarian aid to survive. 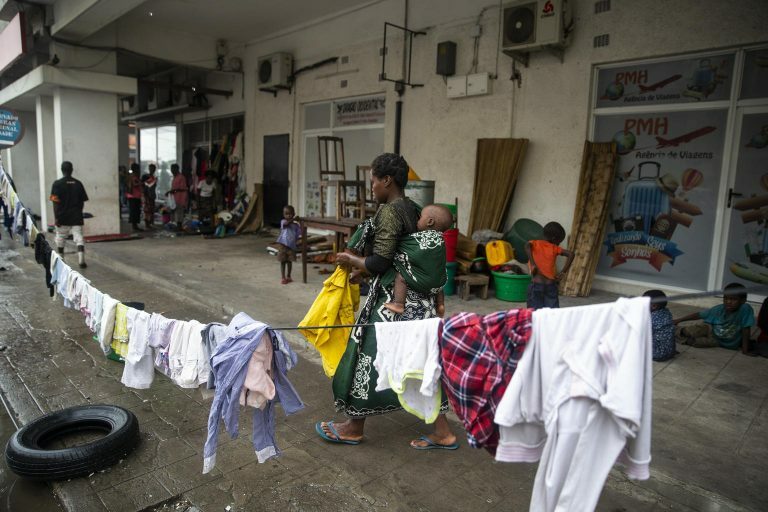 Virginia Fransisco hangs laundry on an improvised washing line in the street, as she carries her baby, Nelson Fransisco on her back. They are living on the street after they were displaced from the informal settlement they were living in. Schools are being used to house those affected by the cyclone. Helcio Filipe Antonio holds a boy named Anderson Tackdi at a high school in Beira. The school is one of the temporary shelters used by people from Buzi, Mozambique who have been displaced by the floods. Many families have had their businesses destroyed by the storm. Without the chance to earn a living, many families will struggle to provide for their children. 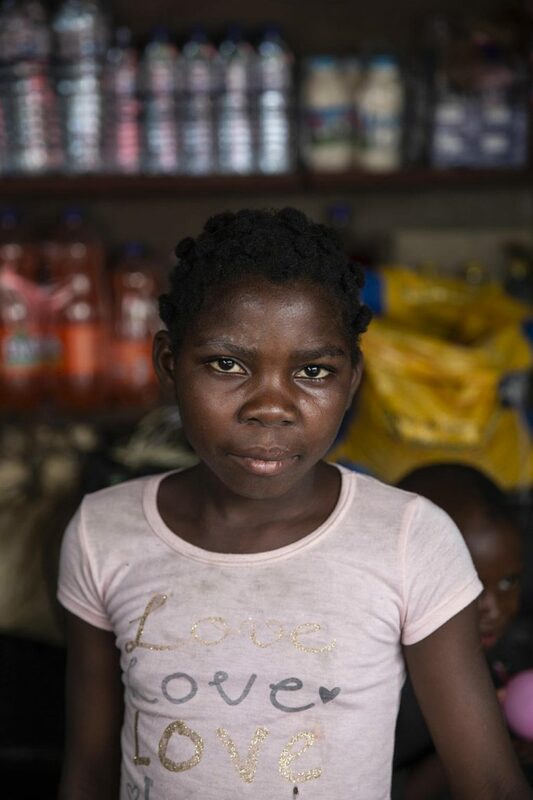 Rebecca Melo stands in front of her mother’s shop, which was destroyed as a result of the cyclone. Rebecca’s mother, Pracilla Samson, refused to let the destruction of her property halt her business. She quickly found a temporary location to sell goods to the community and with the help of Rebecca hopes to rebuild as soon as possible. A donation of €40 will provide one family with life-saving emergency food, clean water and medicine. Please donate now and help provide life-saving assistance to children affected by this disaster.